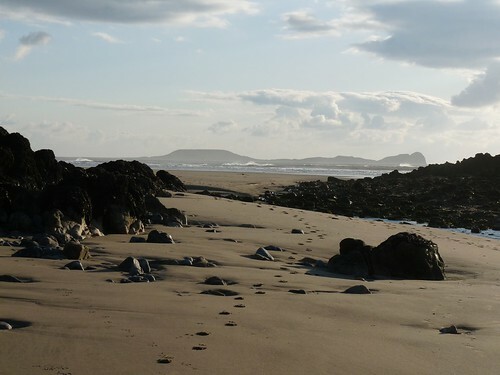 Given that Gower is such a well photographed location, it is often a challenge to try and find a viewpoint or angle that hasn't been done to death. 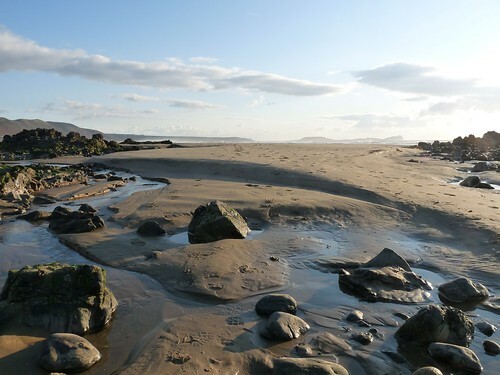 A recent low tide presented such an opportunity to me as I was exploring Burry Holms at the north end of Rhossili bay. The inlet between the island and the mainland provided a perfect frame for Worms Head in the distance. I was trying to decide a favourite from the following two photos but I couldn't so here they both are. Let me know what you think.